This morning I got a fun little secret in my inbox! Mini Rodini is releasing MINI RODINI HOME on Oct 18! That is just a few short weeks away! SHRIEK! OH! and just in time for the re-do of Wrennyn's corner! Is there any chance they will have baby mobiles? I could only dream of what they would look like! The line is sure to be the same brilliant, modern designs of their clothing with vibrant colors and whimsical prints, and I will take one of each please! I certainly hope there are some wall decals in the works like this scene on the far left wall or these fancy fellas or what about these sneaky water creatures (you have to look close to spot them) - I would just love them on our walls! I can't wait to see what the entire collection looks like. How are we going to sleep until then!? "Mini Rodini Home – a 100% organic and non-toxic interior collection with pieces certified by world leading GOTS and Fair-Trade standards. 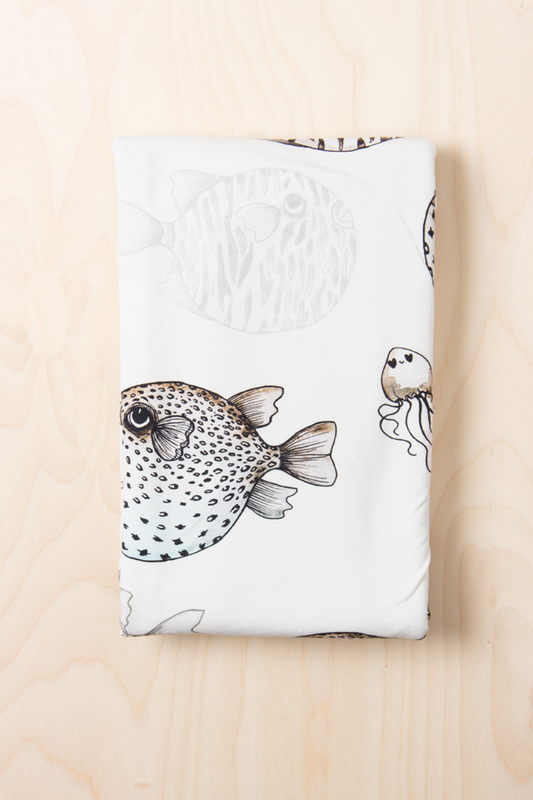 It is a brand new collection of organic bed linens, upcycled cotton products and a blanket that is made from undyed, unbleached non-threatened rainforest cotton. All prints and dyes are also eco-friendly. These products do not contain any of the harmful chemicals used in the production of conventional cotton, and have no chemical treatments that can risk your health. This means that they are kinder to both the planet and to our bodies. A third of our lives are spent in our beds. 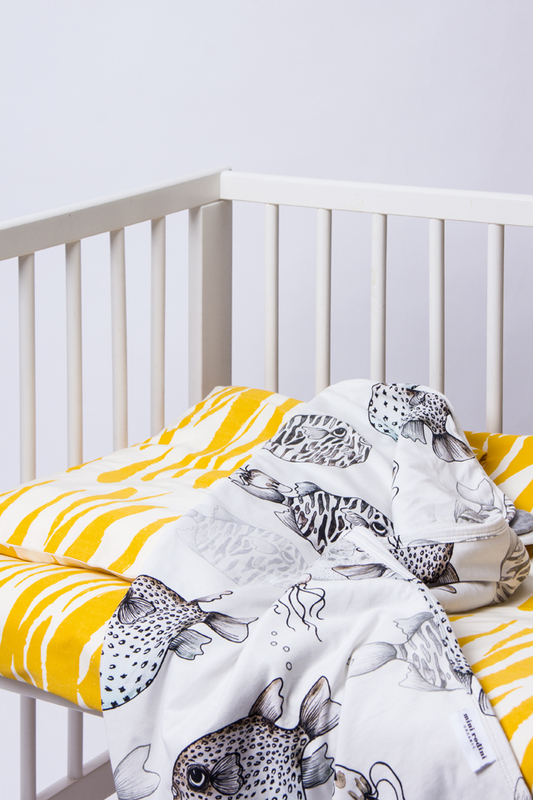 Choosing Mini Rodini’s organic beddings is not only good from an environmental point of view, but they are also healthier and safer. These doesn’t contain any chemical based dyes, flame-retardants, or formaldehyde resin – free from the potentially harmful chemical residues, which could trigger allergies, asthma and other diseases. 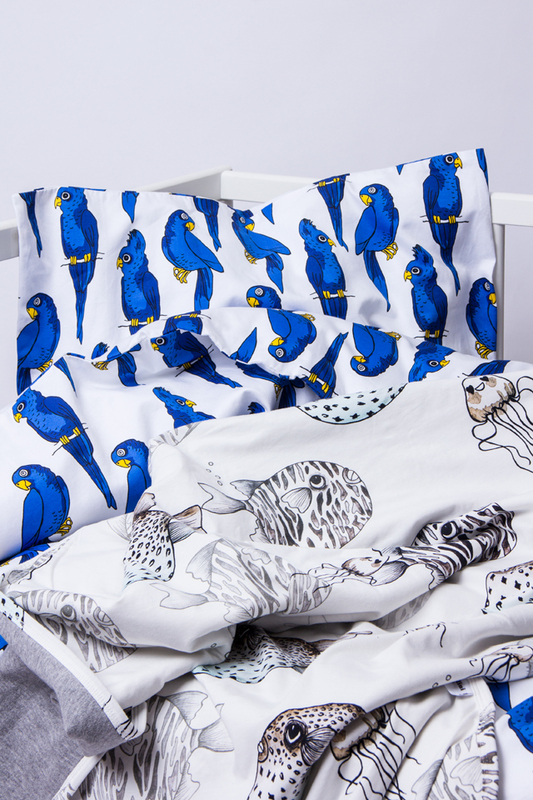 The bed linen set comes in classic prints and in two size sets: for baby cribs and junior size, suited for kids as well as adults. This organic and eco-friendly collection will colour your home with a good conscience. Sweet dreams. The collection will be available exclusively in Mini Rodini’s stores and on minirodini.com." We can't wait! And we certainly can't sleep!